There are many causes of AC failure, a few of which we’ve listed below. You can watch out for these maintenance techniques, but it is always best to have a technician take a look at your Air Conditioner every few years. Doing this can prevent future problems, and provide you with a better experience overall. Hiring an experienced team of AC technicians will benefit you in the long run. ProServ Las Vegas works extremely hard to ensure AC failure doesn’t happen to you and your home. We know how great service can really improve your summer, and so we go out of our way to keep you informed, clean up after ourselves, and treat you just like family. Lack of Cool Air: It could also be a sign that your system’s coolant levels are too low. If this is the case you may have a repair to tackle. 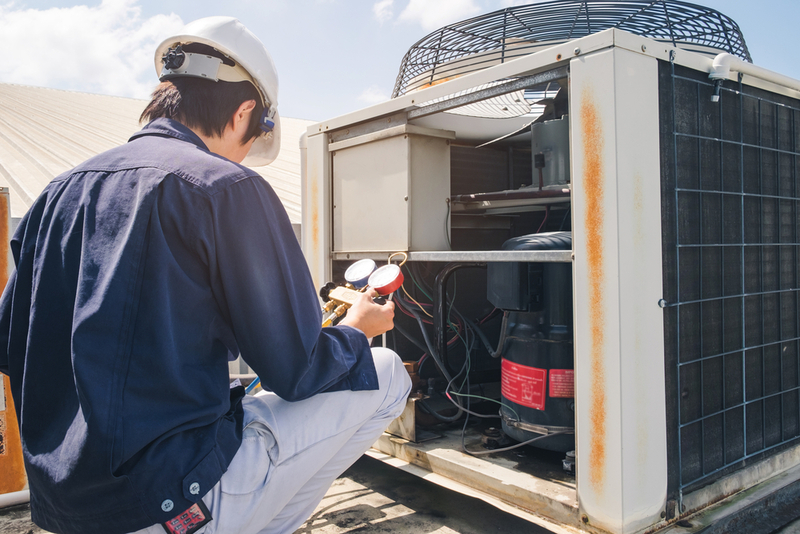 Poor Air Flow: If you are noticing very little air flow or weak air flow your AC compressor may be on its way out, or you may even have a problem with the fan motor on your furnace. Thermostat Problems: Check to see if your thermostat is reading a cooler temperature than it is in your home. Moisture, Leakage, or Ice Up: Any leakage, moisture, or ice around your air conditioning system or furnace could be a sign of problems. Strange Sounds: Squealing, grating, rumbling, or grinding are all sounds that you don’t want coming from your air conditioning unit. Strange Odors: If you begin to smell a foul and pungent odor coming out of your air conditioning vents it could be an indication that your AC’s insulation wire has burned out. Get your air conditioner fixed now by calling ProServ Las Vegas at (702) 656-4500!